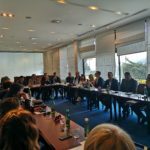 Full-scale exercise “ADRIATIC 2018”, SPLIT, 21 – 25 May 2018. 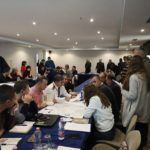 Full-scale exercise “Adriatic 2018”, as a part of the EU project of the same name, was held in Split from 21st – 25th of May 2018. 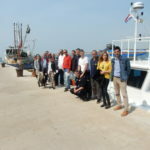 The main project objective is to improve civil protection preparedness and response capabilities in dealing with marine incidents that require joint at-sea and shoreline pollution response coordination. 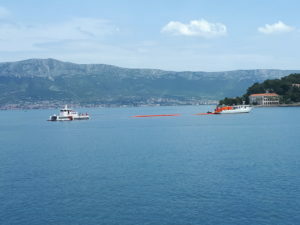 The lead partner of the project is National Protection and Rescue Directorate of the Republic of Croatia, while other partners include Ministry of Sea, Transport and Infrastructure of the Republic of Croatia, Administration or the Republic of Slovenia for Civil Protection and Disaster Relief and Directory for Emergency Situation Management of Montenegro. 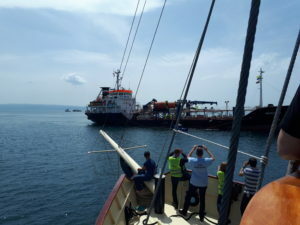 ATRAC participated in the project as a part of the exercise control (EXCON) team, based in Divulje, from where all the communication with operational teams at sea was being conducted. 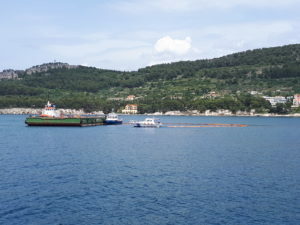 The exercise was held in the bay of Kaštela, and the actions involved organization and implementation of a joint at-sea and on-shore oil spill pollution exercise, on-board firefighting and search and rescue operations. 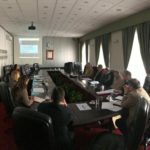 Due to insufficiency of national capacities, this exercise also tested the mechanisms of international assistance, and specialized firefighting teams from the Netherlands and Sweden were activated. 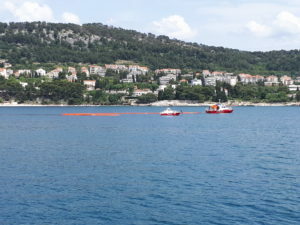 To combat the oil spill pollution, teams from Montenegro and Slovenia were mobilized, as well as Marisa N, a stand-by response vessel from EMSA, located in Trieste. 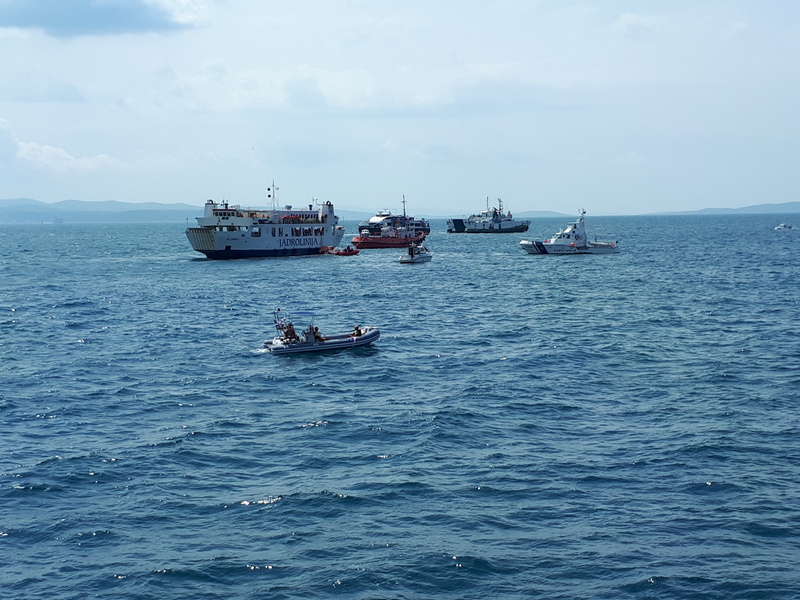 EMSA also provided equipment from the recently established Equipment Assistance Service (EAS) centre in Ravenna. 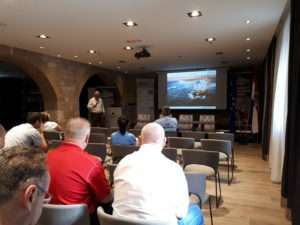 A workshop on the subject of maritime response operations was also organized within the exercise, where ATRAC presented the Oil Spill Risk Assessment, which we conducted for Croatian Ministry of Sea, Transport and Infrastructure in the beginning of this year. 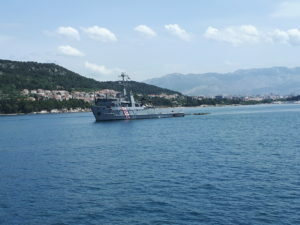 Additional info about the exercise, along with photos and video tapes, can be found on several domestic news portals.